Christmas is a special time of year to spend happy times with family and friends. However, for many of us it is also a poignant time where we feel the loss of those no longer with us. Every year thousands of lights shine on our Light up a Life tree in memory of special family and friends at our Christmas celebration events in December. We invite you to remember a loved one by lighting up a life in their memory this Christmas, whether or not you have a connection to St Oswald’s. Thank you for considering taking part in Light up a Life. All funds raised through your donations will support our vital work with local adults, young people, babies and children in our community. Please note, although you can still make a one-off donation to our 2018 Light up a Life, as of 17th December, we can not guarantee your card and memory star will arrive in time for Christmas. We will endeavor to send them out to you as soon as possible. Any direct debits set up from this date will be towards the 2019 Light up a Life campaign. 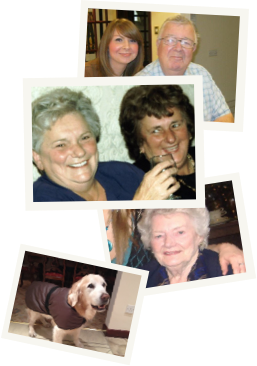 This year, we have created a Light up a Life online Memory Wall, and we would love to include a photo of the special person or people you are remembering. To dedicate a light in memory please complete this form. In return for your donation you will receive a personalised memory card containing the names of those remembered and a memory star to keep at home. Light up a Life is open to everyone and not just those cared for by St Oswald's. You can choose to receive one card with up to five names on (this option helps us to reduce our administration and postage costs and ensures that your donation can be directed where it is needed most; supporting local people who need hospice care) or you can choose an individual card for each name. There is no limit to the number of individual cards you can have but we ask you to consider making an additional donation of £1 per card as a minimum to help us cover costs. If you would like to place an order that is not an option above, then please do not hesitate to contact a member of the team on 0191 246 9123 who will deal with your order personally. I want to gift aid my donation and any donations I make in the future or have made in the past 4 years to St Oswald’s Hospice. Gift Aid is reclaimed by the charity from the tax you pay for the current tax year. Your address is needed to identify you as a current UK taxpayer. I am a UK taxpayer and understand that if I pay less Income Tax and/or Capital Gains Tax than the amount of Gift Aid claimed on all my donations in that tax year it is my responsibility to pay any difference. Please notify the St Oswald’s if you want to cancel this declaration, change your name or home address or no longer pay sufficient tax on your income and/or capital gains. If you choose none we will not contact you with any marketing information or newsletters in future. However you can opt back in at any time by emailing supportercare@stoswaldsuk.org - if you choose this option to opt out, please be aware we may still use the information you have provided us in order to administer your activities with us, however you will not receive marketing communications. If you have any questions about how we look after your information, call us on 0191 246 9123.